With Mother’s Day fast approaching, we’re all looking for that special well thought out gift that shows just how much we care. Well look no further as we think we’ve found the perfect Mother’s Day gift that not only looks and smells divine - but will last months longer than a box of chocolates or a bouquet of flowers. 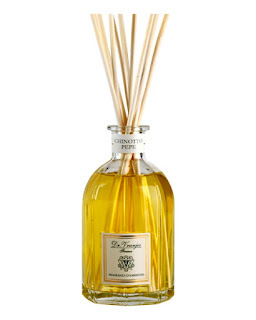 By combining only the finest essential oils and natural ingredients, Florentine perfumer Dr. Vranjes offers a range of fragranced products including diffusers, room sprays, candles and gorgeous fragranced body oils and soft foams for the bathroom. Senti launched Dr Vranjes products to the UK 8 years ago with just 4 fragrances, there are now 28 available. The Dr Vranjes brand has built up a loyal following and his products are now available at luxury retailers such as Harrods, Conran, Liberty’s and Fortnum and Mason and are used in some of the more discerning hotels and restaurants. Mums will love this uplifting elegant home fragrance, a masterpiece of balance and harmony, this uplifting scent is a blend of bitter orange and pepper. Facets of citrus from bergamot, mandarin and orange are warmed with a sumptuous, spicy union of cardamom, nutmeg and saffron, fused with the precious woody notes of vetiver, sandalwood and amyris. 250ml - £49.50. Each fragrance in the Dr. Vranjes range has been decanted into an antique Florentine inspired glass bottle that has been carefully created to follow the architectural lines of Florence's Cathedral of Santa Maria di Fiori. Dr. Paolo Vranjes' passion for perfumery was inspired by his grandfather, a silk trader who collected essences and perfumes whilst on his travels around the world. Born and educated in Bologna, Dr. Vranjes later decided to move to Florence, a city famed for producing scents, to pursue his career in perfumery. 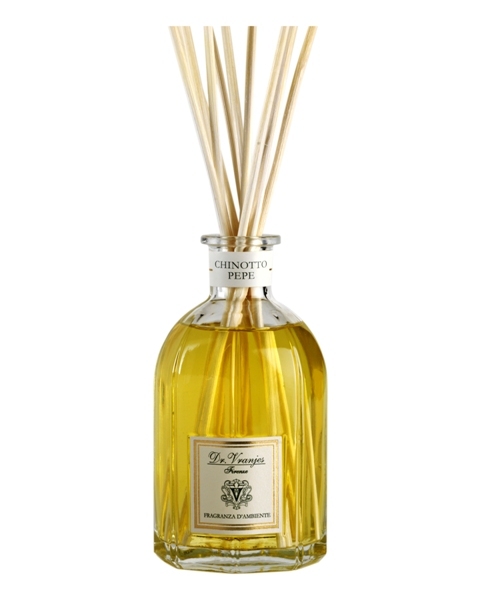 Now recognised worldwide for being one of the finest producers of home fragrances, whose brand symbolises quality and luxury, Dr. Vranjes draws from the wealth of his Florentine history. To find your nearest stockist of Dr. Vranjes products, please call Senti on 0208 947 5179 or visit www.senti.co.uk.